Also known scientifically as “Morinda Citrifolia” noni fruit has grown in its popularity around the world as researchers discover more and more benefits of using Noni Juice. Noni plant is grown in tropical climates such as the Polynesian Islands, Puerto Rico, northern Australia and US Virgin Islands. According to a report by the American Association for Cancer Research, the noni fruit has been used for ages to treat various diseases including cancer. 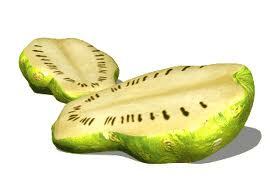 The fruit has an unpleasant smell and taste hence it is most taken as juice. 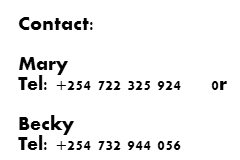 Here are some of the benefits that have been documented. Nini juice is shown to provide protection against the development of cancer. According to a research published in the December issue of Annals of the New York Academy of Sciences, Noni juice have been proven to prevent the formation of cancer cells. This has been attributed to its antioxidant abilities. Another publication from Memorial Sloan-Kettering Cancer Center in New York has echoed these claims. These studies have shown that there are properties in Noni extract that are anti-tumor. With numerous studies being carried out on the noni plant and its medicinal values, a report was published in Plant Foods for Human Nutrition June 2008 issue showing noni juice protects liver from damages. According to the report, rats were exposed to liver damaging toxins and those that were pretreated with noni juice were able to withstand the damaging toxins and did not show any liver damage. However, there were some previous studies done in 2005 and 2007 that showed noni juice to cause liver damage. It is therefore advisable to seek a physician’s advice if you have any liver problems before using noni juice. A report by Phytotherapy Research issue showed on June 22, 2009, that puree from the pulp of noni fruit increased the pain threshold on mice. This puree also produces pain-relieving effects on the body. The researchers at the University Clinic in Hamburg, Germany, concluded that noni fruit can reduce pain and reduce the amount of joint destruction caused by inflammation of arthritis. Another study in 2008 showed that noni juice can increase the immune system response. According to the Journal of Ethnopharmacology, these benefits are profound in people with comprised immune system due to illness or other medical conditions. While the tests of the effects of noni fruit on ulcers are few, the Feb. 4, 2009, issue of the Journal of Scientific Research shows that an extract of the noni fruit, when used on rats, exhibits the ability to prevent gastric lesions in the intestines. This is due to the fact that the noni extract decreased the amount of acid in the stomach and increased the mucous that protects the lining. While it may be unattractive, and not offer a pleasant aroma, the noni fruit should be considered as an addition to the diet for its overall health benefits. 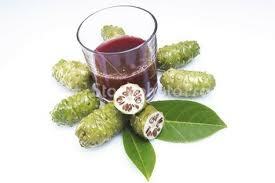 Noni extract is also available as a dietary supplement. Speak to your physician before adding it as a supplement in large doses.